Atlanta, GA (Restaurant News Release) On Wednesday, December 6, Flavorholics across the U.S. will line up around the block to get five free boneless wings at any Wing Zone® location. 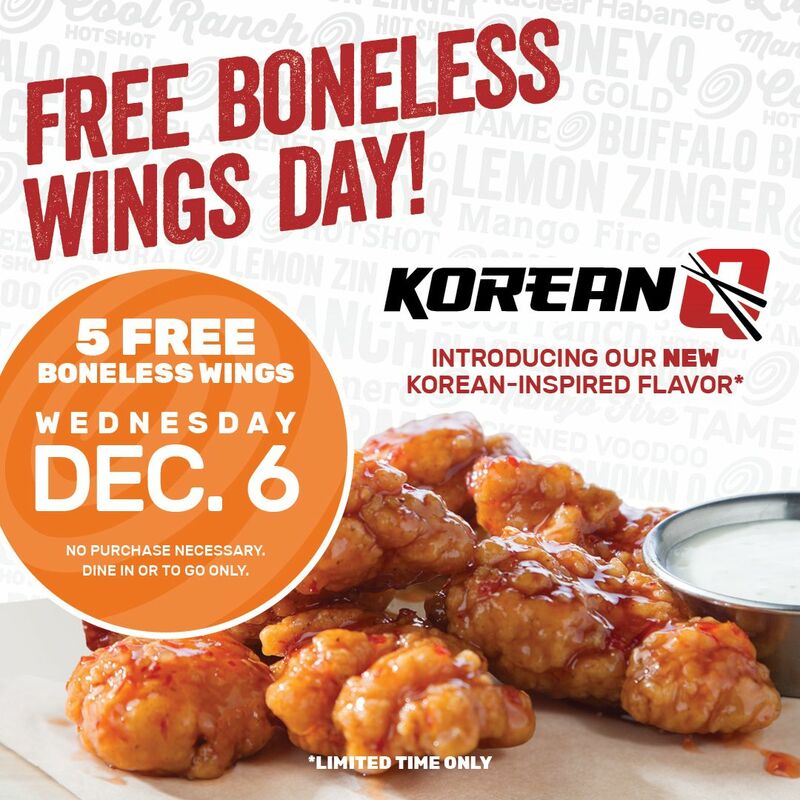 The free boneless day serves as a promotion of the company’s newest flavor, Korean Q, as well as a way to bring attention to the Ben Abercrombie Fund and #StandUpForBen campaign. The Wing Zone boneless wing promotion will take place at all domestic locations on Wednesday, December 6. All guests will receive five free boneless wings with no purchase necessary and are encouraged to try the brand new Korean Q flavor, a Korean barbecue-inspired flavor with a mixture of sweet, savory and spice.